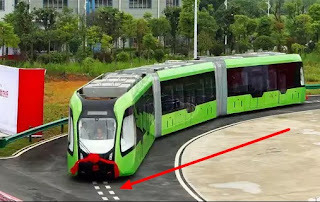 The “Smart Bus” or “Autonomous Rail Transit” (ART) moves by following a pre-set route laid out in white dots on the road which is picked up by sensors in the train and is said to begin serving the Chinese city of Zhuzhou by 2018. 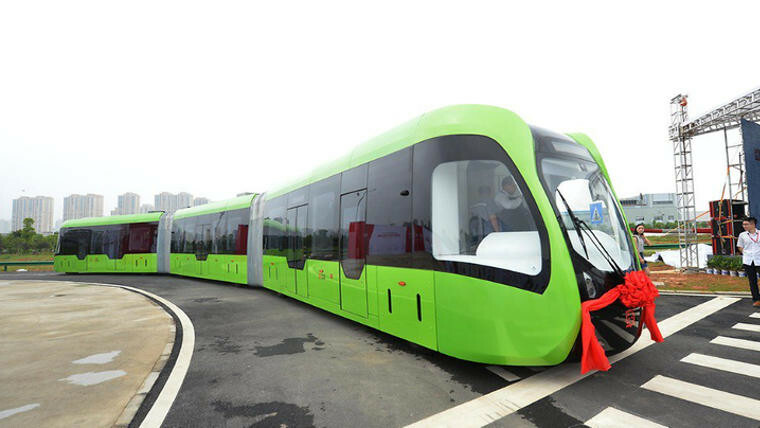 The hybrid train which runs along 6.5km (4 mile) track, comes in three carriages has a holding capacity of 300 people though more carriages can be added to increase its holding capacity. This is definitely a solution to traffic congestion in populated cities amongst others. What are your thoughts, please do share with us in the comment section below?? ?